The Ball Community Food Pantry, an outreach ministry of Palestine United Methodist Church, is currently serving more than 100 low income citizens in the Ball area. 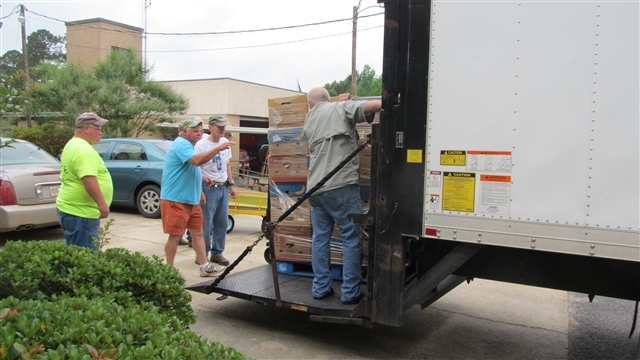 On the fourth Tuesday of each month, volunteers from Palestine UMC and the local Pentecostal and Baptist churches gather at 8 a.m. to unload a truck from the Food Bank of Cenla, organize the food boxes, and bag up food items donated items from supporting churches. The finished boxes are distributed at the local senior center, adjacent to Ball City Hall. 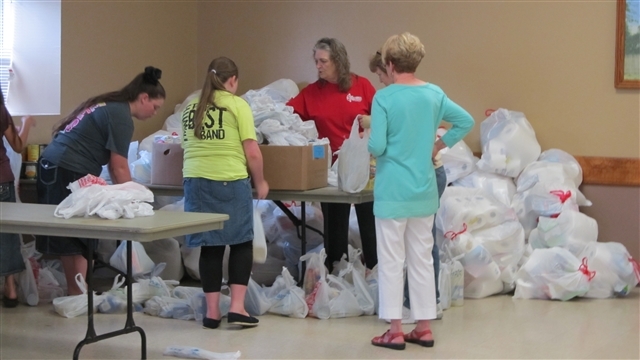 The group receives assistance from Helping Hands Ministry, a local ministry group that supplies paper goods and toiletry items every two months for more than 1,800 people within Rapides Parish. When Palestine was awarded the Louisiana Conference-sponsored Ecumenical and Interfaith Ministry Recognition Award in 2013, publicity about the award was helpful in recruiting additional volunteers and assistance for the ministry. The church youth group has held two Christmas food drives, and the United Methodist Men's and Women's groups donate funds annually toward the project. Funds from the interfaith award were used to sponsor additional seniors through an Adopt-A-Senior program. Working cooperatively with the Food Bank of Cenla, Food for Seniors (administered through Catholic Charities), six other local churches, and the local senior center, Palestne UMC is working to improve the quality of life for seniors.